Sistema Shyam Tele Services Limited (SSTL) the CDMA Mobile and Data service operator today announced the expansion of its national footprint. The company has launched its CDMA mobile telephony and Data services under the MTS brand in Uttar Pradesh East and UP West telecom Circles. 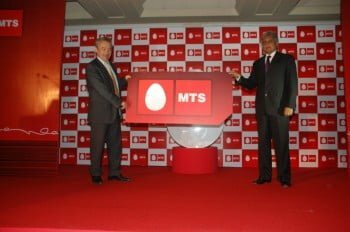 Announcing the launch of MTS in UP East and UP West Circles, Sergey Savchenko, Chief Financial Officer, Sistema Shyam TeleServices Limited (SSTL) said, “The launch of telephony services by MTS in UP East and UP West has further expanded our national footprint. mts has very tariff and congestion free network all across places where it has launched its service but its roaming rates are very high and now mts should reduces its roaming rates.